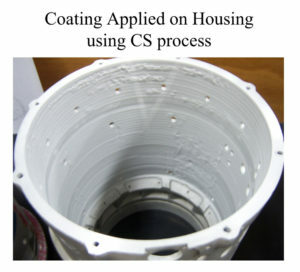 Cold Spray (CS) Coating Process | L. J. Walch Co., Inc. Cold Spray (CS) Coating is an exciting process that can help your company to save money from recovery on parts that are worn, corroded, mis-machined, etc. They may be considered as beyond economical repair or unusable according to OEM specifications, but L. J. Walch can bring them back to life using Cold Spray Coating Process. 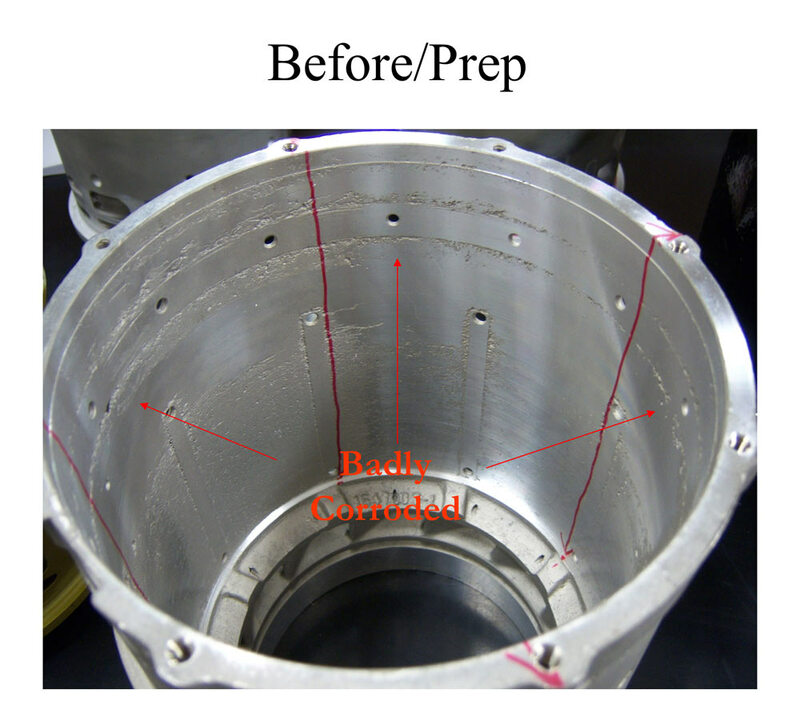 The cold working that occurs during cold spray results in aluminum coatings having yield strengths greater than or equal to that of the underlying magnesium alloy. 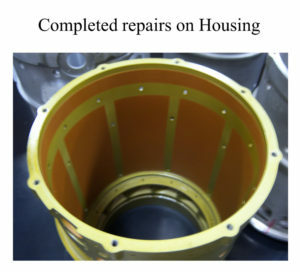 Here is a sample of a Boeing 747 Generator Stator Housing, repaired by L.J. Walch Co. with Cold Spray Process. 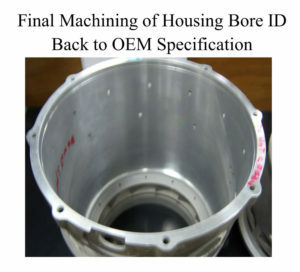 Click to enlarge images. CLICK HERE TO VIEW MORE VIDEOS FROM L.J. 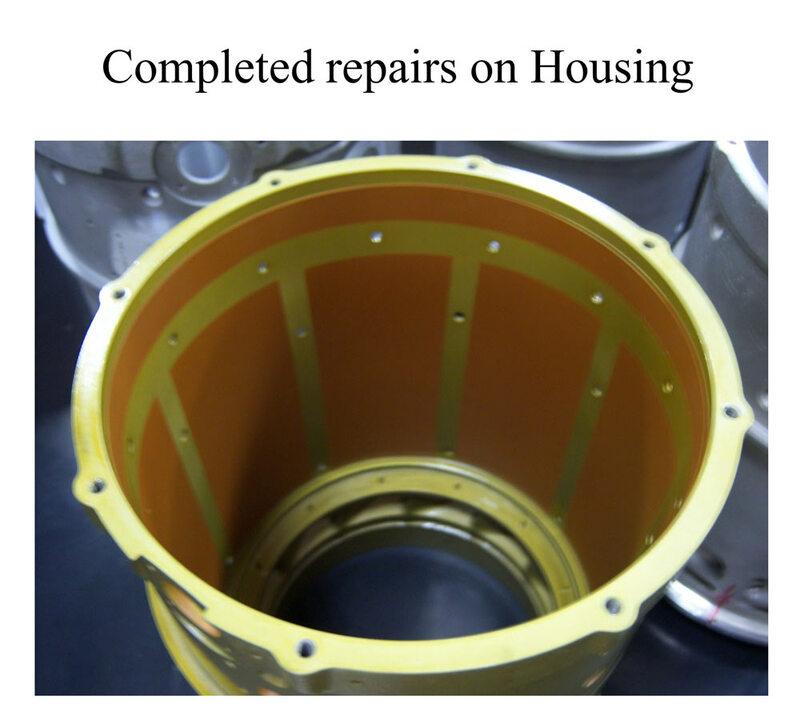 WALCH, INC.
Click here to download a PowerPoint presentation with more examples and details about the Cold Spray Coating Process.